Crosse Studios and Big Ant Studios announced that CASEY POWELL LACROSSE 16 will launch this March 9th featuring lacrosse legend, Casey Powell, as the face of the game. Powell, the four-time All-American from Syracuse, two-time MLL Offensive Player of the Year, and NLL Most Valuable Player of the Year, is the most dominant and recognized players in the world. Casey Powell Lacrosse 16 features an all-new graphics engine, true lacrosse gameplay, and takes character likeness to another level allowing the lacrosse community to create the largest ever database of lacrosse players to hit the field on Xbox One, PlayStation®4, and Steam. "Casey Powell Lacrosse 16 is all about the lacrosse fans," said Crosse Founder, Carlo Sunseri. "We've pushed the lacrosse visuals, gameplay depth, and features to a jaw-dropping level. At the end of the day, without the support of the lacrosse community, this game would have never been a reality." “Casey Powell Lacrosse 16 brings together the Lacrosse expertise of Crosse and the sports game pedigree of Big Ant into what we believe is the best Lacrosse video game of all time.” said Big Ant CEO, Ross Symons, “We’re really excited with how this game has turned out and think the fans will be too." "We want CP16 to be what the Tony Hawk game was to Skateboarding and do for Lacrosse what the FIFA game has done in the US, with even the non-soccer kids learning the names of the International soccer stars.” said Scott Hochstadt, “Casey Powell 16 will become the Madden of lacrosse. It's been a real honor to work with CP, Carlo and Big Ant on this project. It's a very exciting day for the sport." CASEY POWELL LACROSSE 16 is supported by some of the top brands in the industry including Epoch, Inside Lacrosse, Legends Clothing, East Coast Dyes, Stylin Strings, Throne of String, Sideline Swap, and Powell Lacrosse. Most notably, players can play in the game with the Epoch Dragonfly and improve their skills by purchasing Epoch booster packs. We're happy to announce that the Lacrosse Academy for Lacrosse 16 has been updated, so you can start testing the dodging, stick checks, and body checks in the new Sandox! Please remember that everything is still a work in progress, which is why we need your feedback! Just to make one thing clear... if you backed on Indiegogo then you're already on the Test Team. *If you're not part of the Test Team. Sign up now before it's too late! Join the Test Team and receive a free Windows copy of Lacrosse 16! 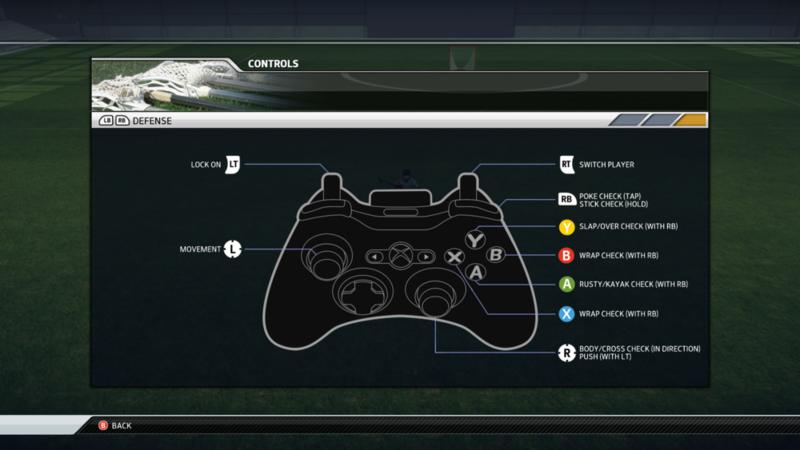 Click here and start testing Lacrosse 16 on Windows today!